Nationalist Party candidate for the European Parliament Roberta Metsola Tedesco Triccas launched her campaign for next year’s elections this morning saying hers was to be a sustainable effort in which she would be placing major importance on the environment. The 29-year-old mum and lawyer was interviewed by television presenter Peppi Azzopardi under a tent in Freedom Square. She said that her campaign, with the motto “In your interest” would be placing major importance on the environment. She would be driving an electric car, using recycled paper and calculating her carbon footprint at the end of the campaign to offset this with a donation to Nature Trust. The donation would be used for a project to combat climate change. Her aim, she said, was to set an example. Dr Metsola Tedesco Triccas said that in the next nine months she planned to meet as many people as possible and listen to everyone. She was a firm believer that local problems could be solved at the EU, even if they were minor ones. A lawyer specialised in EU law, Dr Metsola Tedesco Triccas said that for the past four years she had been negotiating laws that would affect Malta in Brussels. She was convinced that her experience in the EU would help her do more for Malta, since she knew how the institution worked. Brussels was a complicated monster but MEPs had a lot of power and could change opinions. However, they needed to know how the system worked to knock on the right doors. Dr Metsola Tedesco Triccas contested the last MEP elections when she was still a student in Belgium, becoming a candidate just five weeks before the elections and garnering almost 6,000 votes. 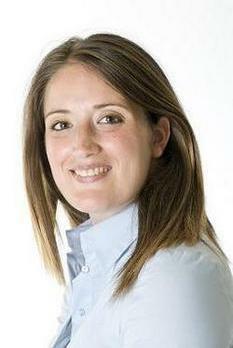 She is married to Ukko Metsola, a Finn who is actively involved within the PN's Finnish sister party. They have two boys.